Sometimes people ask what other products we’re working on. Usually we don’t comment on developments in very early stages. However, some products are already used by some of our business customers. What is this thing connected to the audio analyzer? It’s a HiFiBerry Digi+. However, not the standard version, but a version that has both digital outputs and inputs. 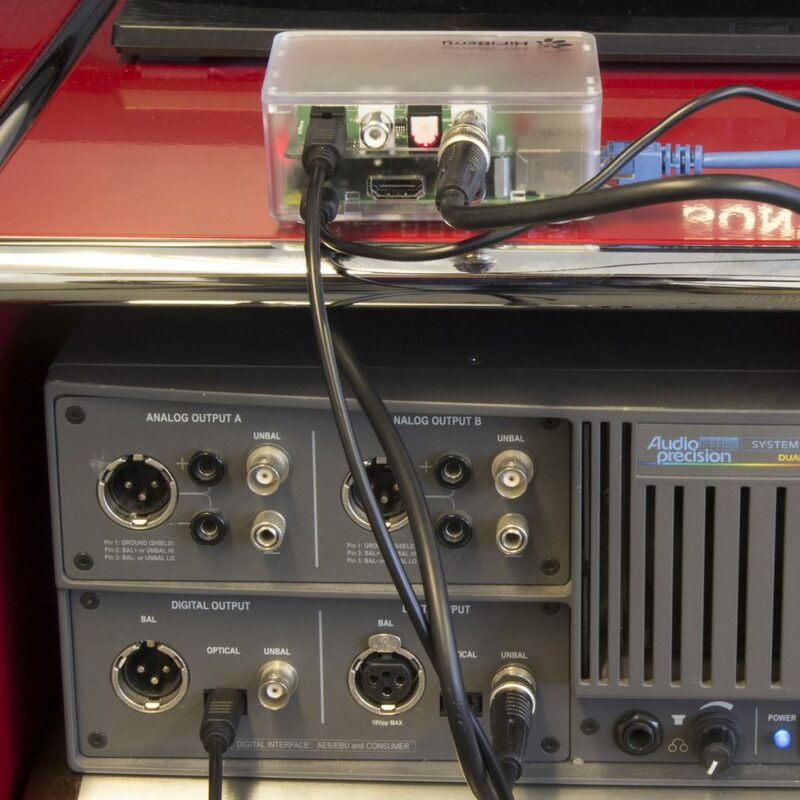 This allows not only to record digital data, but also do all kinds of audio processing on the Raspberry Pi. The Raspberry Pi 3 (and even the older Raspberry Pi) is powerful enough to do all kinds of digital signal processing (DSP) directly on the main CPU. Think about applications like room equalization or an effects processor for studio or stage. Pretty cool – isn’t it? A limited number of these boards is available in our shop.